The dimensions are 1360mm x 980mm x 320mm. The fire uses one of our small bioethanol burners, which have a fuel capacity of 1.5 litres and burns 1 litre every 4 hours. The heat output for this fire is 2KW per hour. The Bio Flame Lasize is a truly different fire. It is the first fire that we know of, that has wheels. The Lasize was designed with versatility in mind. 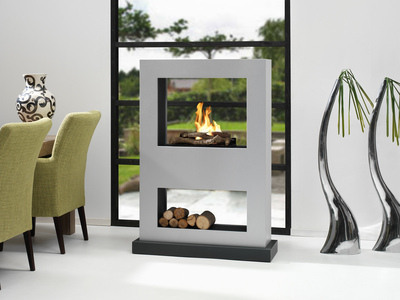 You can use the fire as a feature in any room, or even as a room divider. You can quickly transform and add impact to any space with the Lasize. The Lasize uses a unique burner with a patented ceramic core. 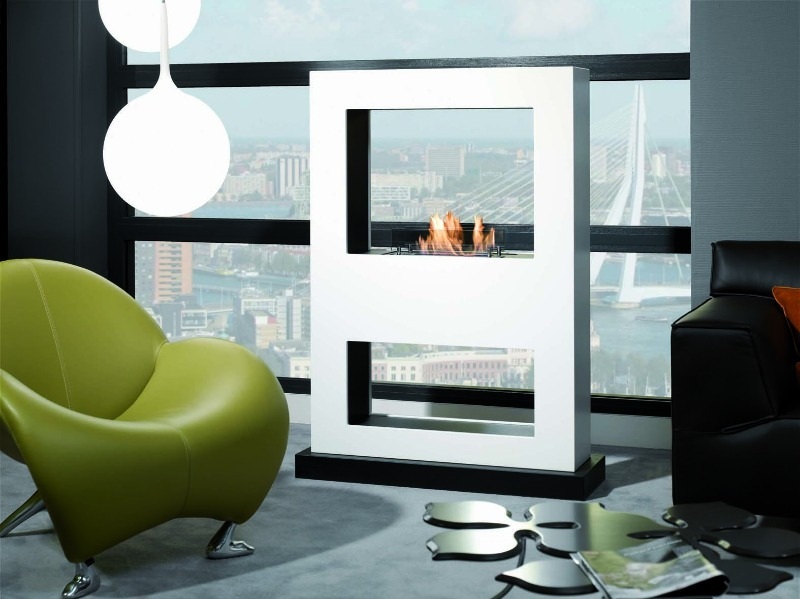 The Laszie burns bioethanol fuel, which unlike gel fires does not need cleaning.